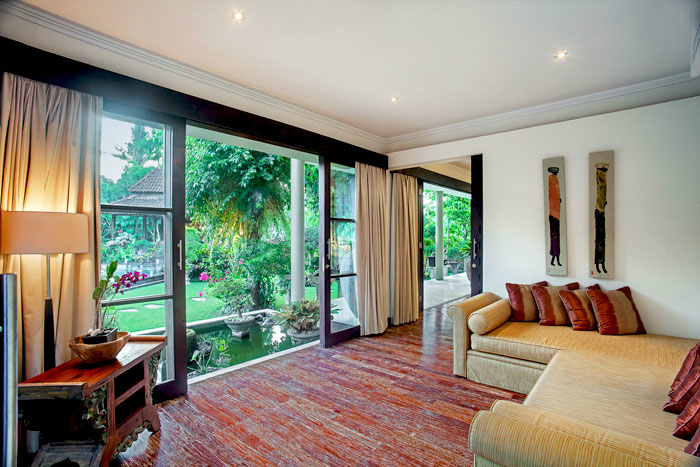 From $ 1,624AUD per night We have direct contracts with most villa owners. We don't add any booking fees. We are 100% transparent with no nasty surprises. ONLY 5 min walk to the beach - rent this now! 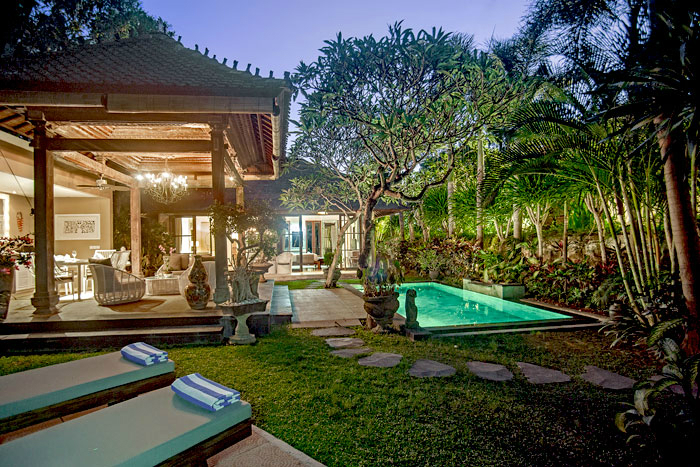 Villa Avalon is a luxurious 7 bedroom Canggu villa holiday rental situated within the security of a private villa complex. 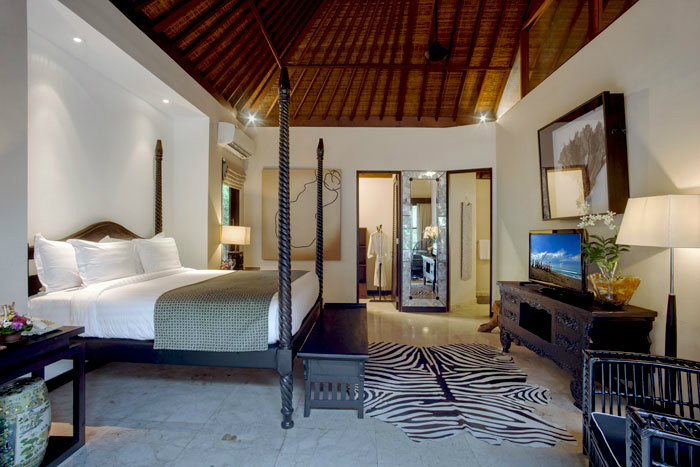 Seven rather exquisite en-suite bedrooms will comfortably accommodate up to 14 guests with consummate ease. 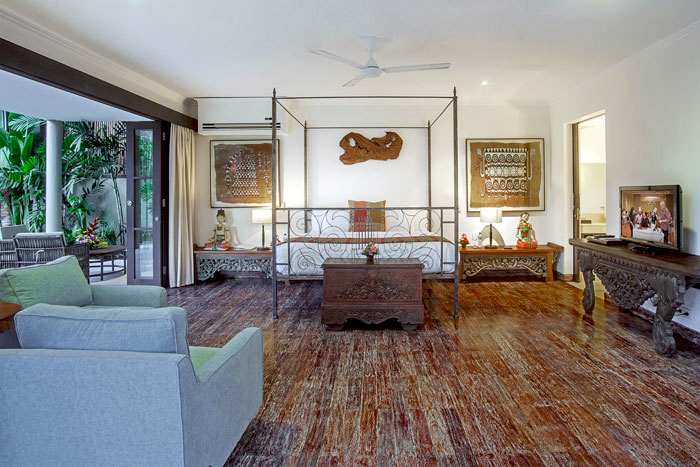 Located nearby Berawa Beach in trendy Canggu, the villa is perfectly located for guests to easily enjoy the most popular attractions Canggu has to offer. 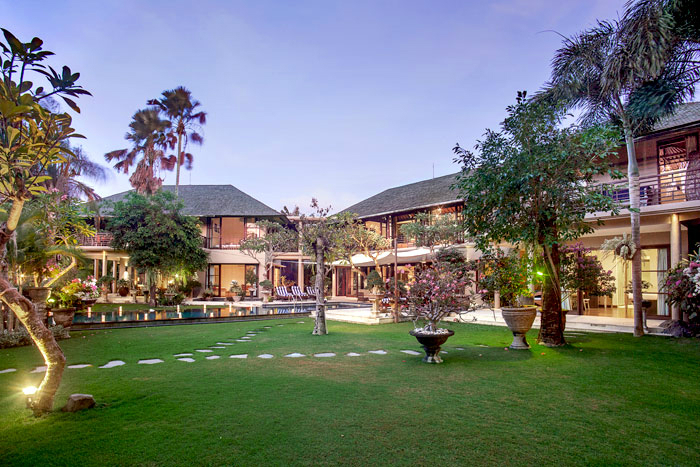 The immense size of the villas compound makes it the perfect venue for garden weddings and other special events. 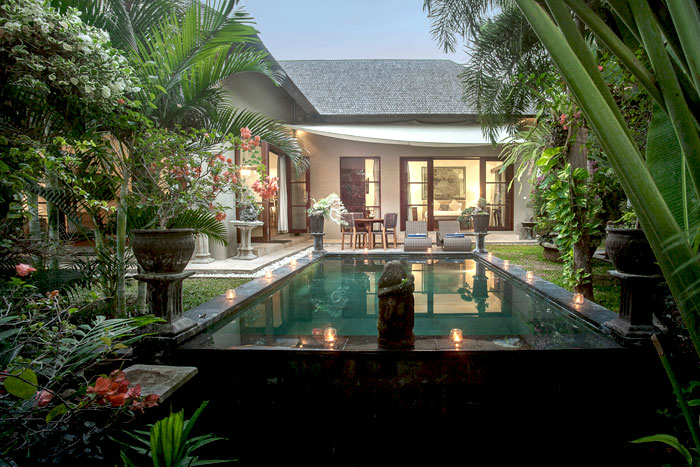 Guests are spoilt with an amazing sparkling swimming pool set in the centre of the massive tropical gardens. 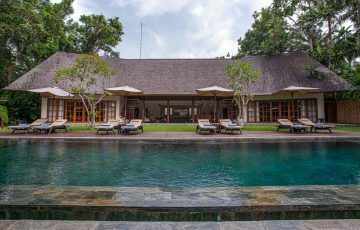 There are poolside lounges laid out around the pool on the spacious palimanan stone pool deck for guests to lay back and work on a golden tan as your private butlers serve you with cold drinks, snacks and cold towels to wipe your face amid the Bali warmth. 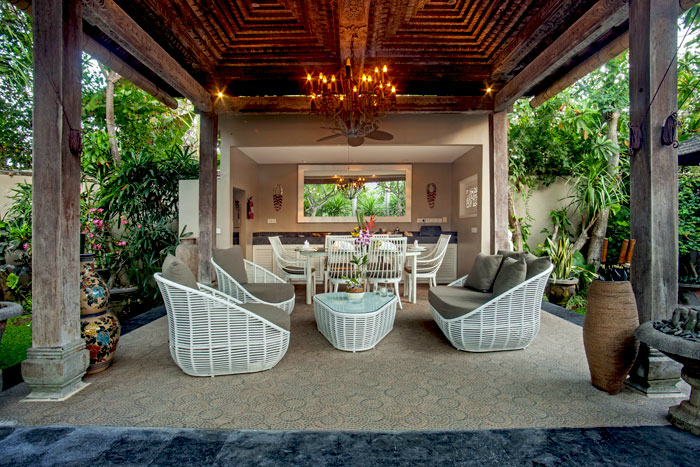 There is a great BBQ where the skilled chef will cook anything from seafood to steaks and Asian cuisines. 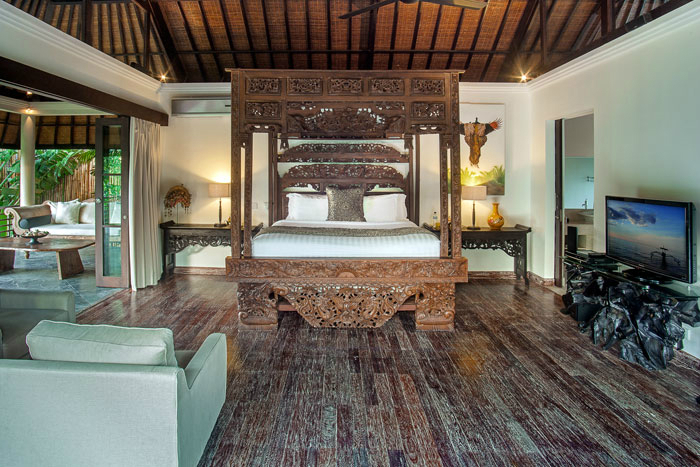 The majestic holiday home features three main living pavilions offering the perfect mix of both indoor and outdoor living areas for guests to move freely, socialize or find a little private space for some quiet rest and relaxation. 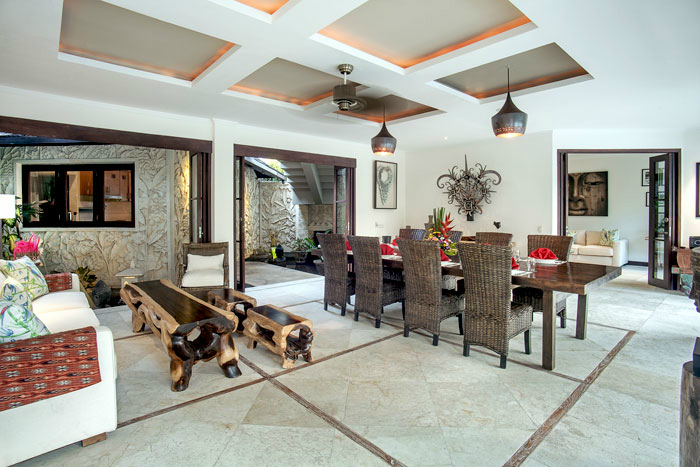 There is a balance of lounge areas with comfy sofas and dining areas for formal sit down dinners and places where guests can enjoy casual meals together. 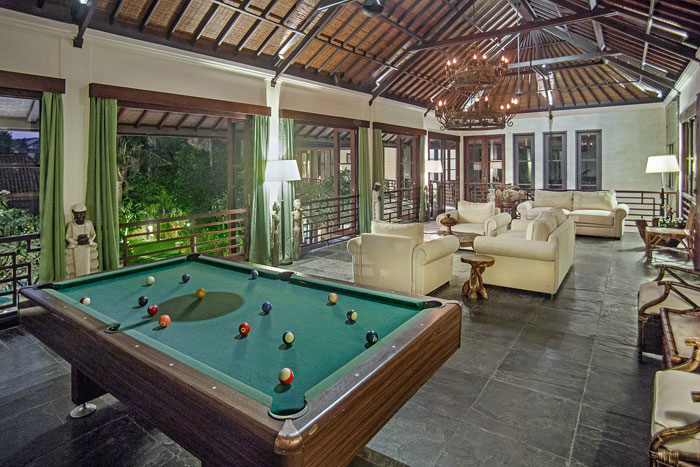 There is a fully air-conditioned media room, a billiards room, spacious patios and lots of cozy hangout spots. 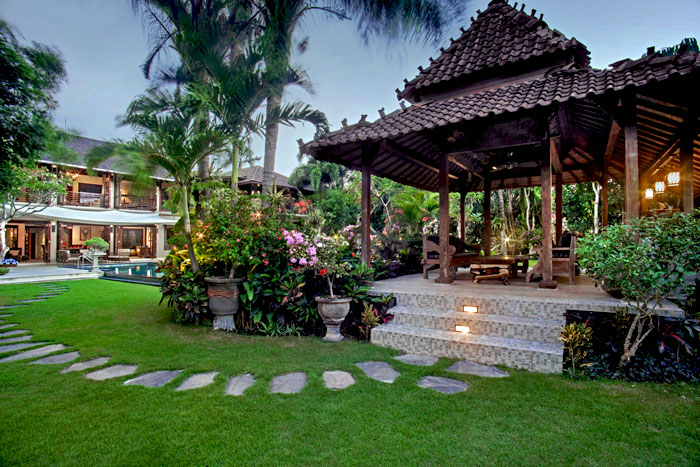 The pavilions themselves are beautifully designed by a famous Balinese architect and boast an eclectic array of Asian art works. 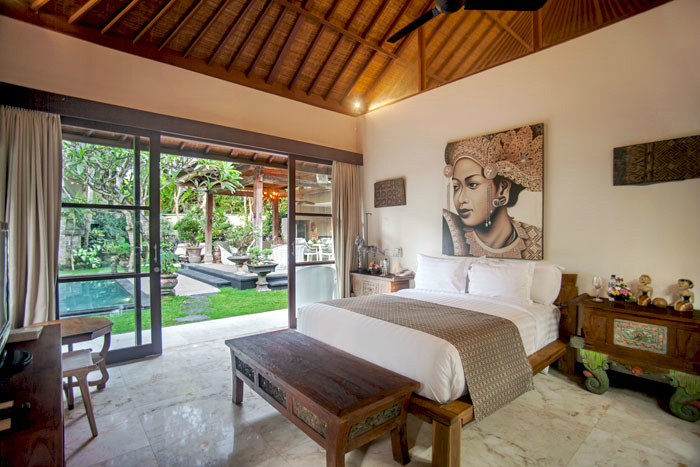 The Avalon main villa features two deluxe master bedrooms with their own private lounge areas and patios with great views of the pool and gardens. 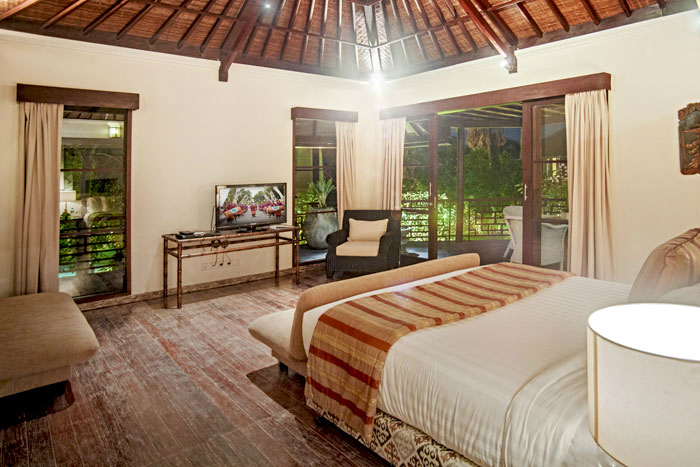 The private lounges offer stylish daybeds, huge double sized beds, flat-screen TV’s, DVD players, walk-in robes and fully air conditioned en-suites with monsoon showers and soaking tubs. 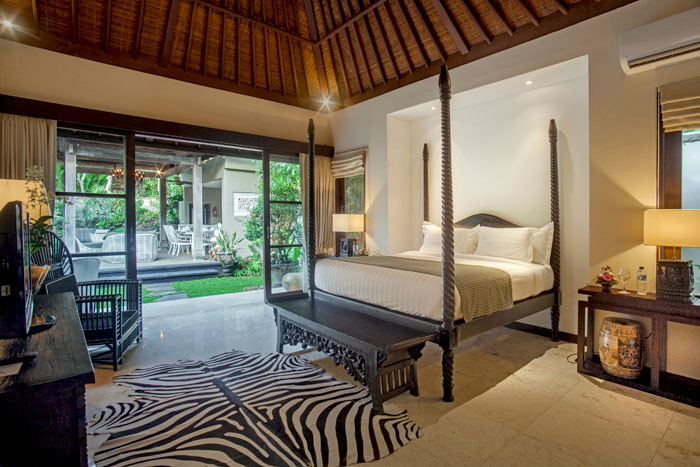 Villa Avalon II houses 2 more bedrooms and another 3 bedrooms are found in the main villa. 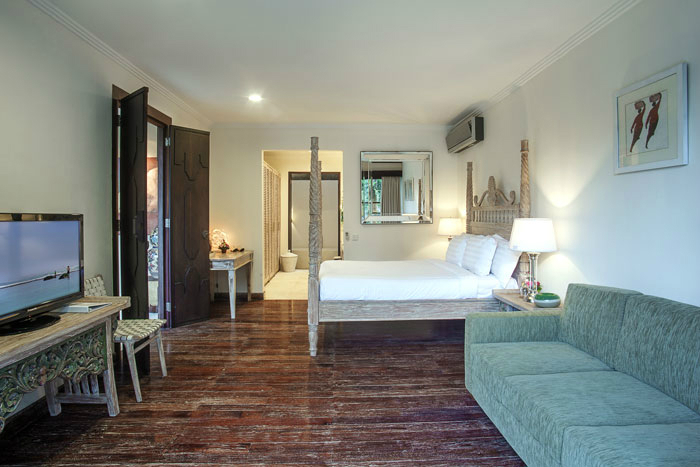 All en-suite bedrooms offer guests absolute privacy and all feature air-con, large double beds, walk in robes and private en-suites with monsoon showers. 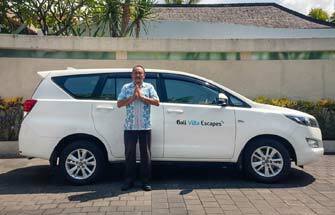 The Avalon Villa Complex has a wonderful team of friendly Balinese staff, highly trained they will look after all guests with an equal amount of care and attention. 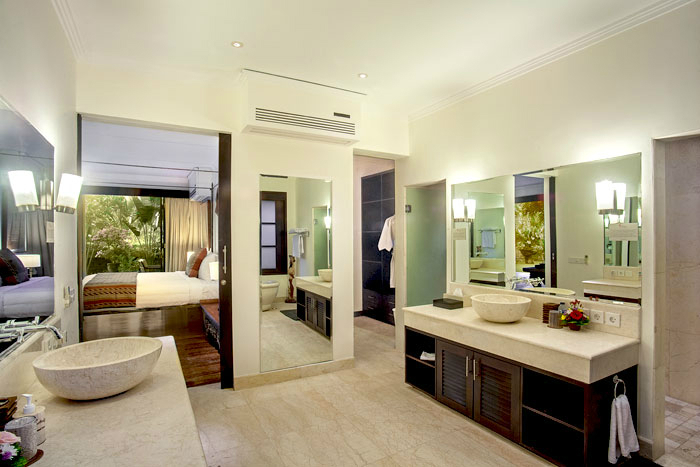 The complex has night time security, housekeeping each day and butler services. The talented chef is on-site to cook meals day and night. If you have kids the staff can arrange baby-cots, high-chairs and pool safety fences if needed. Just a short stroll and you are at the popular Berawa Beach, a popular surf spot and the kids will love the water fun park, ten pin bowling and trampoline fun at nearby Finns Recreation Club. 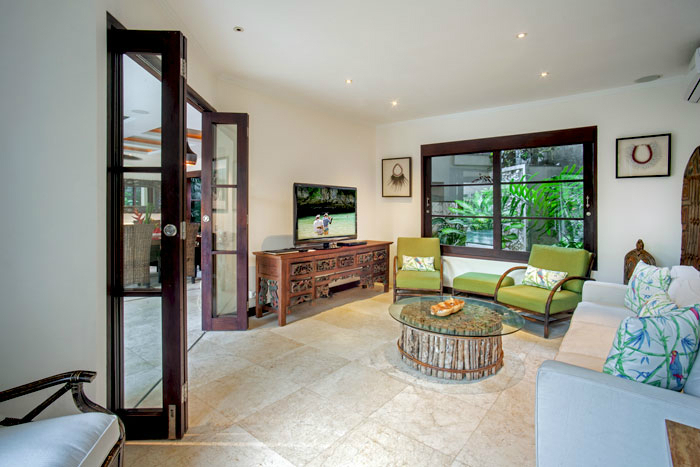 Seminyak and all of its popular restaurants, cafes, health food shops, yoga studios, gyms and boutiques is no more than ten minutes by car and Echo Beach is also conveniently located nearby as well. 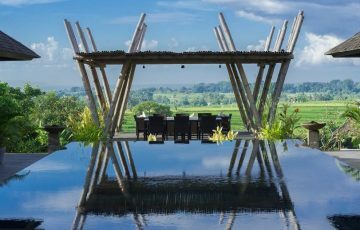 The Berawa area has loads of great cafes and restaurants to visit. Make sure you try: Peleton, Milk & Madu, Quince, MissIbu and Milu by Nook to name a few. Your villa manager will be able to help you find others. 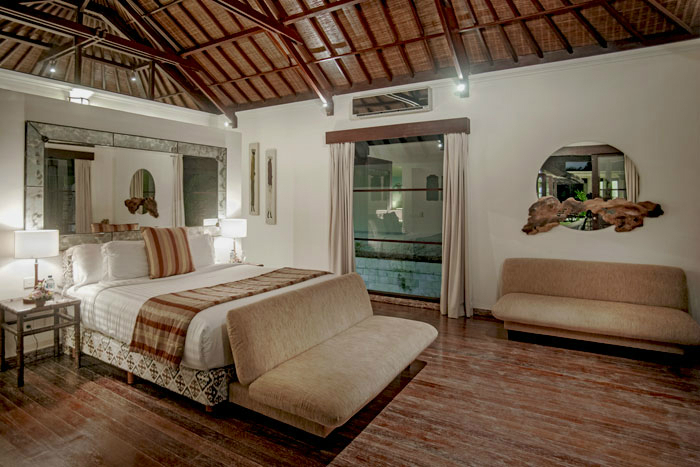 Basically, your in a very good location next to so many fabulous things to see and do in Canggu. 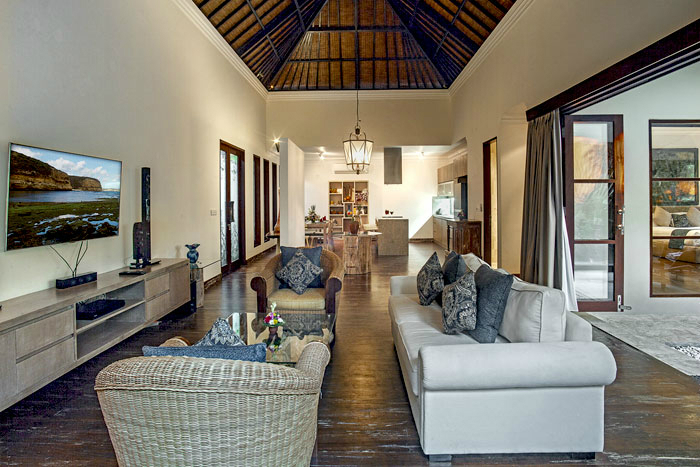 To view other sensational Canggu villas near the beach or our full range of group friendly Bali villas please browse this website or contact our reservation team. 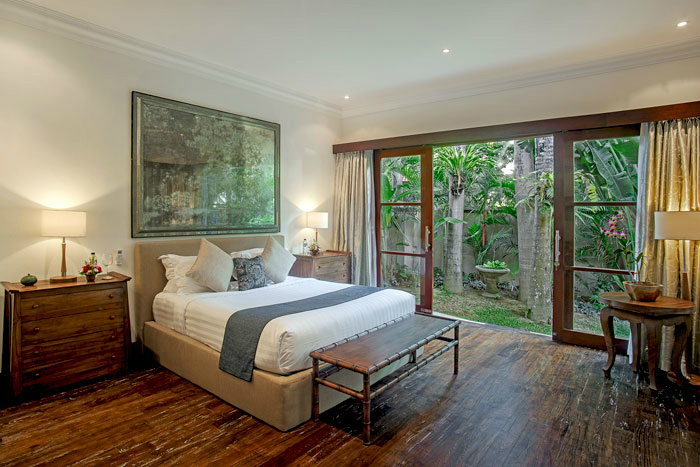 Book your Canggu holiday at Villa Avalon well in advance as this is a really popular villa especially if your planning a trip to Bali during the Australian school or public holidays. 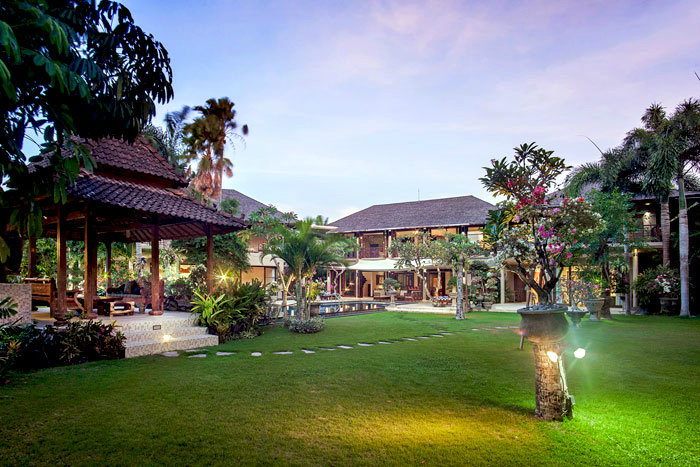 The spacious villa grounds are designed to provide a perfect venue for any occasion, from weddings, company events and large groups. 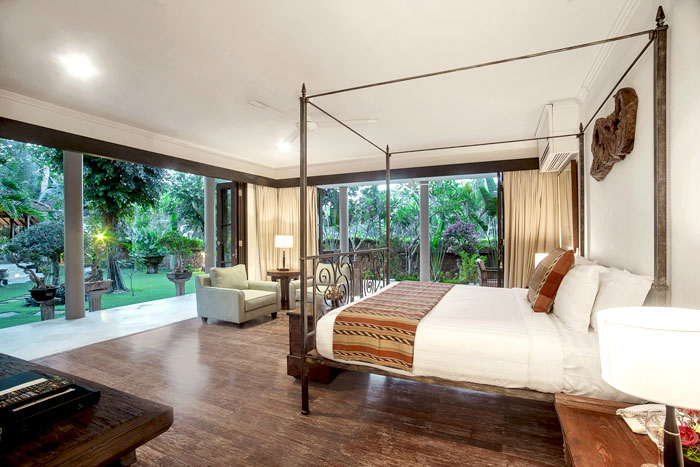 Complimentary usage of extra beds/sofa beds for children under 12 years old. 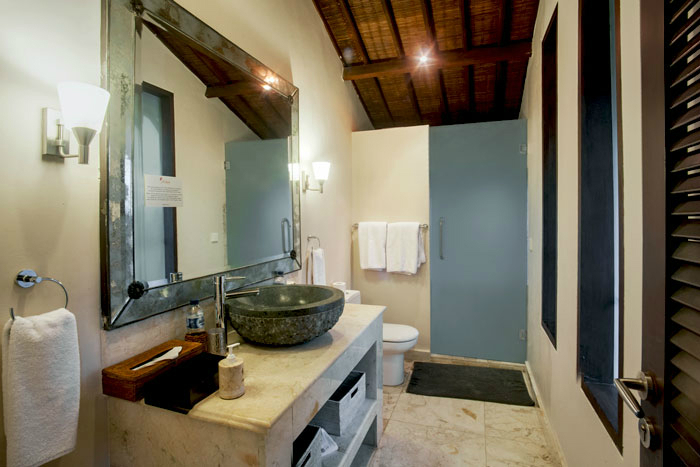 Staff : Estate Manager, Executive Chef, Housekeeping, Gardening, Engineering, Security. 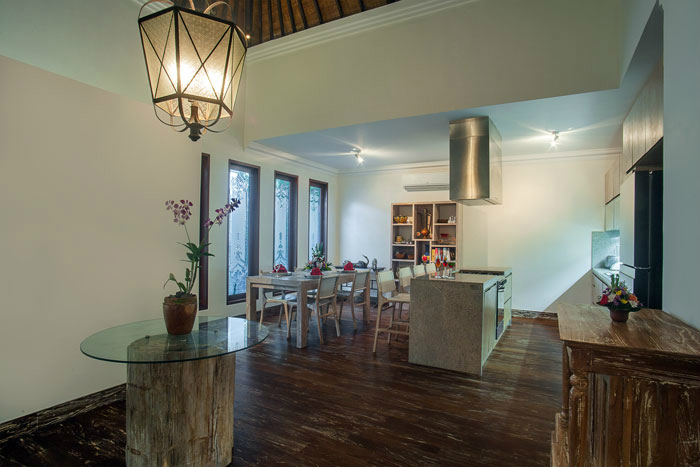 In addition, personal butlers are also available everyday for your convenience. 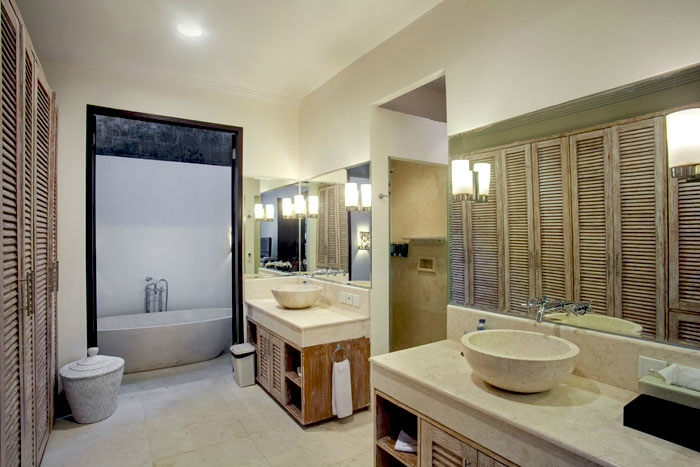 Should you need assistance, they are always ready to make arrangements for various types of available services, from calling in professional spa therapists, hairdressers, massage, organise dinner reservations, shopping advice, tours, car hire etc. 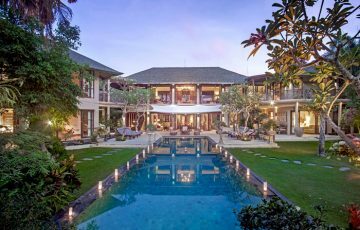 Spent 7 days here with 6 other people and loved the villa from the moment we saw it. 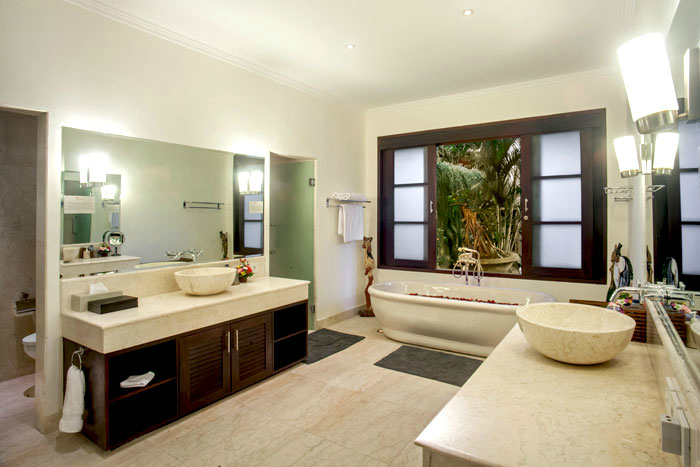 Excellent service, modern facilities in a really handy location. This was well worth the price and we are definitely coming back. We came here with another family over the Christmas holidays and all we can say is WOW!!! 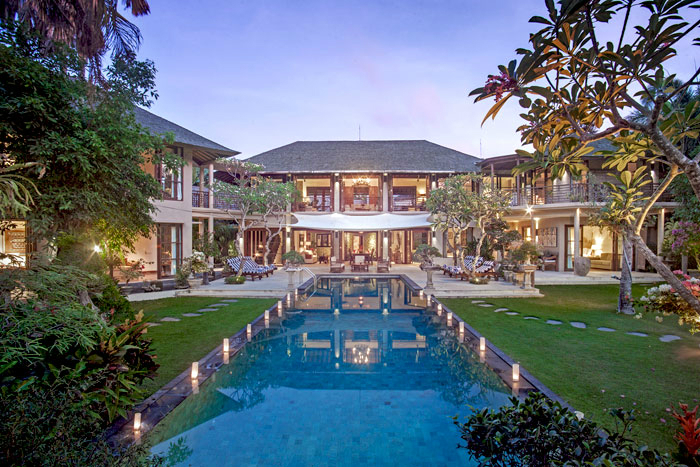 What an amazing villa. So much to rave about but let's start with the staff. They really made the holiday special with their attention and 5 star level of customer service. All meals prepared by them were as good as you get in any restaurant. In terms of the rooms and swimming pool again, this was by far much better than we were anticipating and every day was a fabulous experience. 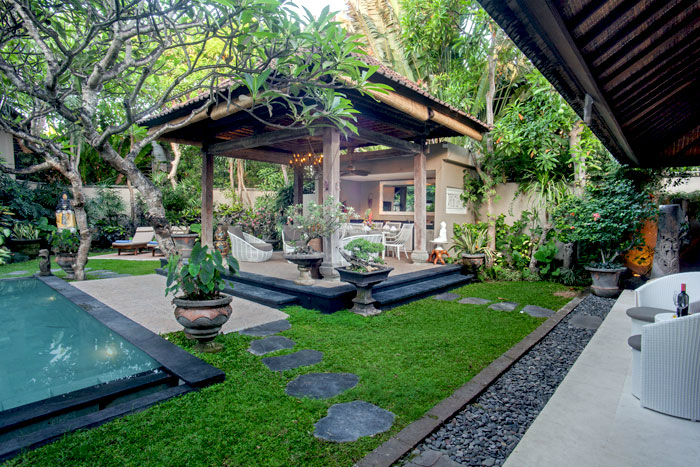 In terms of location, this is exactly what we were looking for; close to the beach and close to Seminyak if we wanted to do some shopping. Overall a perfect holiday villa and we will be certainly back again next year. What a fabulous experience. We never thought a holiday could be this good. We spent 9 amazing days here and the only thing we really wanted to do was extend the trip. 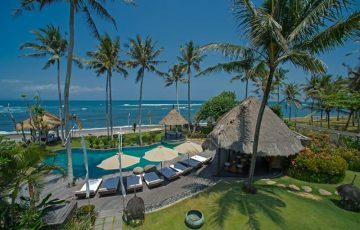 Love being in Canggu as well. 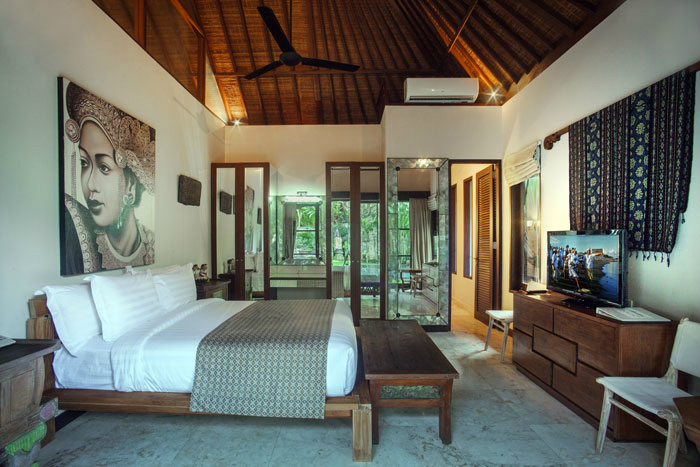 We are regulars to Bali and generally stay in other areas like Seminyak or Legian and thought we'd give Canggu a try. Great decision! This place rocks with so much going on and so many great places to eat and hang out with the kids. 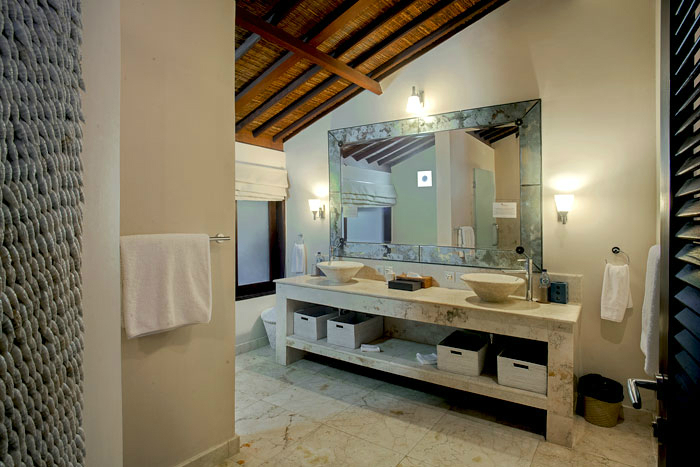 Wonderful villa in a really good location - kids loved being so close to the beach and we loved the privacy and space the villa gave us. Absolutely divine. To all the staff at villa Avalon thanks for the best holiday ever. Kids are begging me to take them back.